Prior convictions, which are better termed enhancements for separate offenses, stay on your record for ten years or more, and can be charged for seven to ten years from the time of the first offense to the time of the second offense. With current DUI's, we can get the records on any separate or prior conviction, and it is possible in some circumstances to have those stricken from your present case, or even stricken or vacated from your driving record al together as though they never took place. This requires a fairly complex procedure of getting the records from the prior jurisdiction and reviewed for various procedural and constitutional defects. Further care should be taken in doing this, because if you happen to be on probation in the prior jurisdiction, the attempt to get the prior records will "tip off" the prior jurisdiction that you have a new DUI, and may result in a violation of probation on the first case, in addition to the current problems. So, such action should be taken only by an experienced lawyer. Often prior convictions, if they cannot be vacated or stricken, can be deleted for purposes of sentencing and fines, as can probation violations, failures to appear, and other types of violations and the savings in fines alone may more than pay your attorney's fees. A collateral attack of a prior conviction is not an appeal of that conviction; it is simply a mechanism for defense attorneys to use to prevent the prior conviction from enhancing the penalties the clients faces in the current case. For example, if you, the defense attorney, are representing a person charged with fifth offense (a felony), and you discover the client did not have an attorney or waive counsel in his fourth offense case, he should be sentenced as a fourth offense misdemeanant, as opposed to a fifth offense felon. The conviction for fourth offense will remain on his record, but it cannot be used for sentencing purposes if it is properly challenged. If prior dui convictions exist, we can challenge them. A prior conviction must have met due process requirements. The rights to counsel, jury trial and confrontation must have been fulfilled or have been knowingly and understandingly waived. In cases where prior conviction resulted from a guilty plea, the waiver of rights is often not adequate. If the defendant is pardoned, he or she may not receive an enhancement at sentencing when convicted for another DUI. Prior convictions can complicate your situation and an experienced attorney can help navigate you to the best outcome. 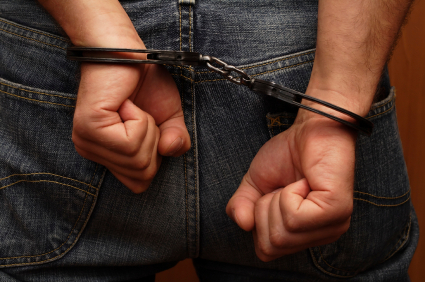 If you or someone you care about has been charged with a felony, and has a prior criminal record, it is critical to consult with a skilled criminal defense attorney right away. Call The Sheena Law Firm today to discuss your case.